The man who King Kelly entrusts. The man whose craft has received worldwide acclaim in less than a year. KEITH HOEY is a father of two girls, who lives in Palmerstown, North County Dublin. He has a back injury that means he tends to ride bizarre soft-ride bikes, but he still took on the cobbles and bergs of Flanders this Spring, and he’s not afraid of no mountain trails either. Back in the boom, Hoey was a panel-beater. He worked on repairing, respraying and restoring prestige motors. Most of it was in his uncle’s chauffeuring garage, but he also built up Range Rover Onyx’s in Greenogue. 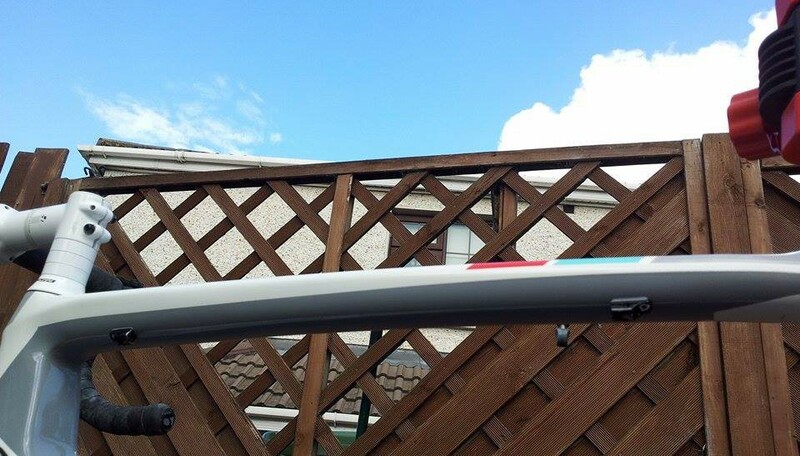 It was a high-end concept car made using fibreglass and carbon fibre, giving Hoey his first experience of dealing with the material that came to be bicycle manufacturers’ number one. 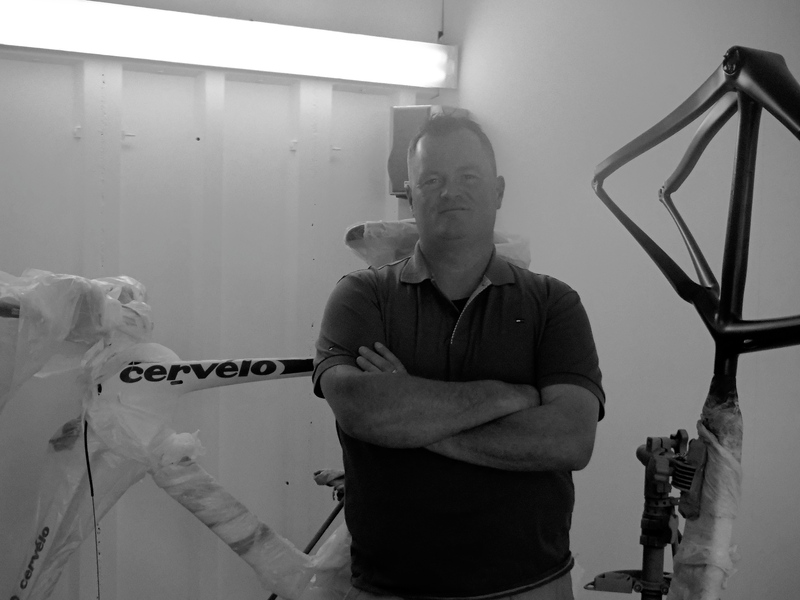 Dan Mitchell at Snow+Rock in Dundrum gave him the shop’s inbuilt Cycle Surgery to run. 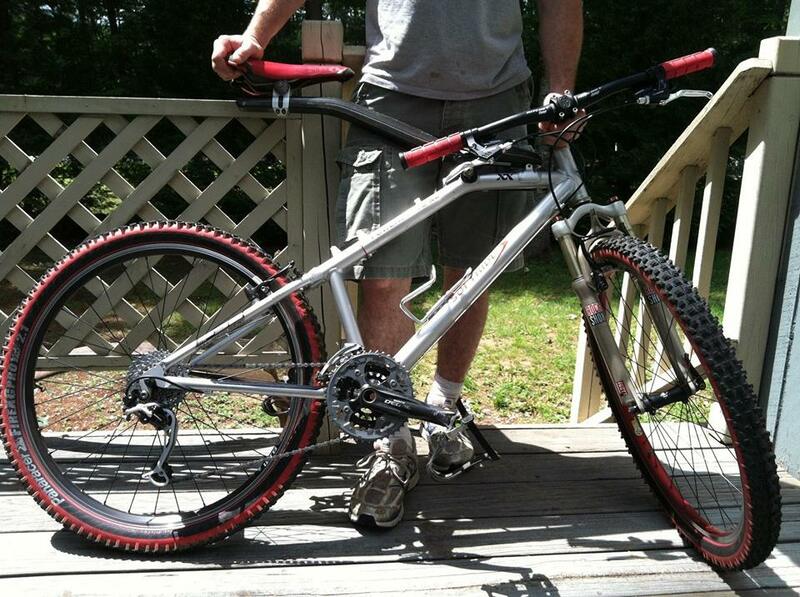 It reignited Hoey’s interest in bikes. He hadn’t been that close to them for a while. He’d been busy with work, but he has always been a cyclist. He has always been a bike man. When he moved to Rob Cummins’s Wheelworx, a bike and triathlon store closer to home, he became exposed to a higher volume of competition bikes. This workshop in Lucan had a constant flow of high-end carbon fibre machines in for services, repairs and maintenance, so it was bound to happen. “One day a guy came in to fix a frame for us,” says Hoey. 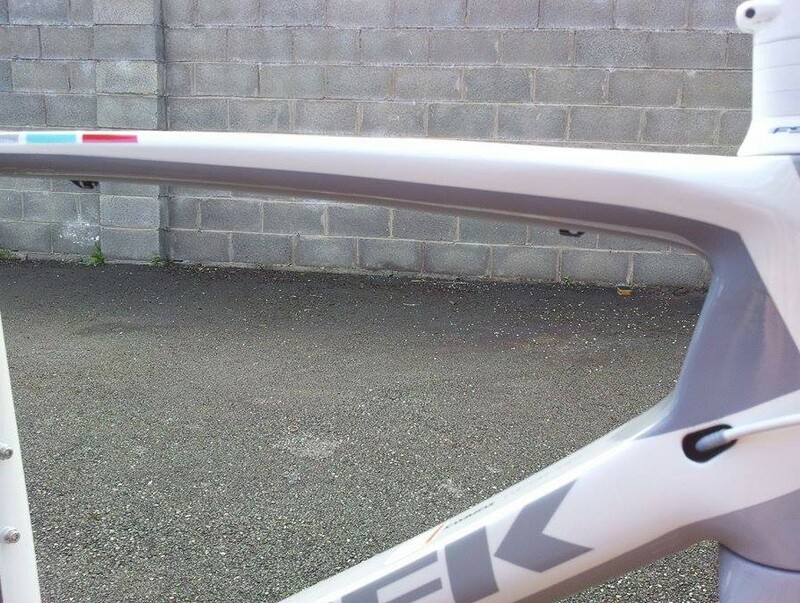 “It was a new Trek Madone, and the guy who owned it had bought a lot of nice bikes in the shop. “He was going to live in Gibraltar and he want this bike to live over there and be a second bike. 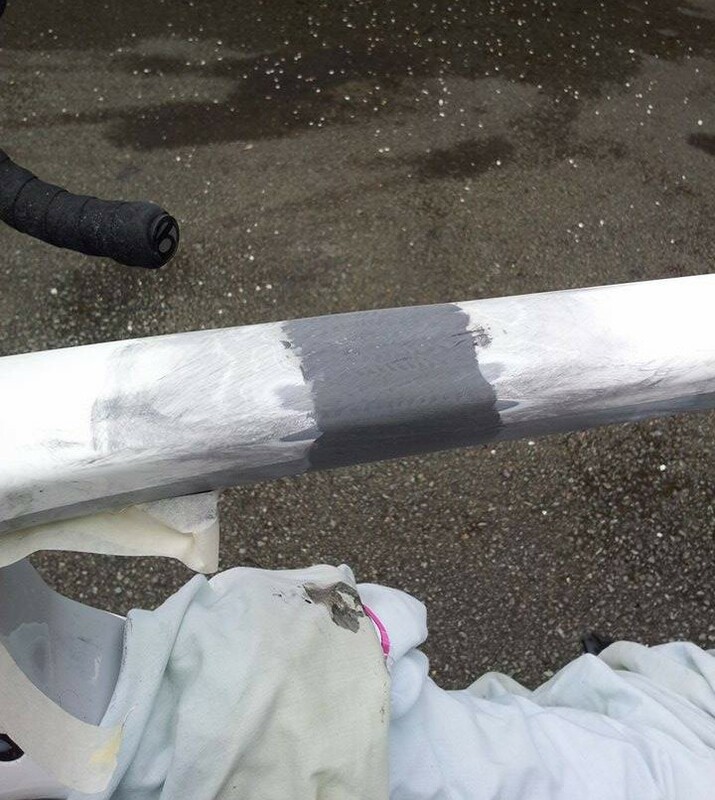 So we found this guy who said he could fix the broken top tube. A light bulb went off at that point. Hoey took it home, sanded it off, redid the repair, and painted it back to showroom condition. CarbonTec was born. 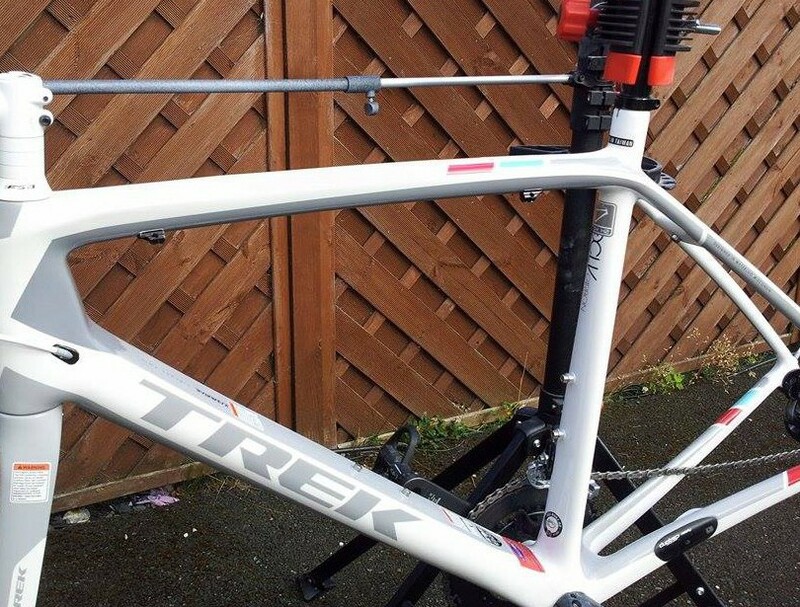 SINCE word got out about that Trek Madone, CarbonTec has swelled, to the point where Hoey has stopped working at Wheelworx and has drafted in friend and neighbour Scott Kinsella to help. These guys have almost identical plots around the corner from each other in an estate in Palmerstown. They have both developed good-sized workshops in large sheds and have set up plenty of outdoor space, Kinsella for sanding; he’s the apprentice – so he gets assigned jobs to fit his title. 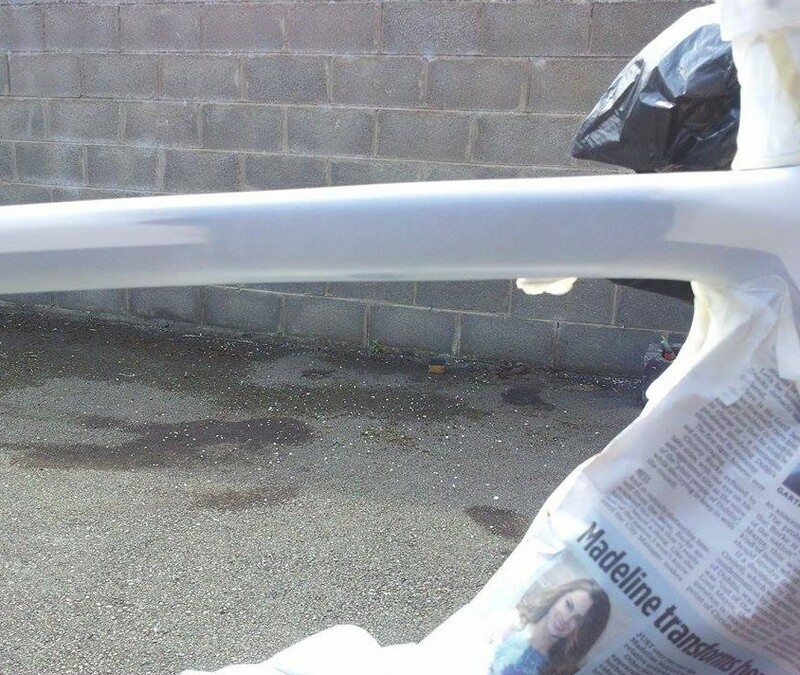 “Scott does a lot of the sanding,” says the boss. “There’s a guy in the states who’s a collector of Colnagos. 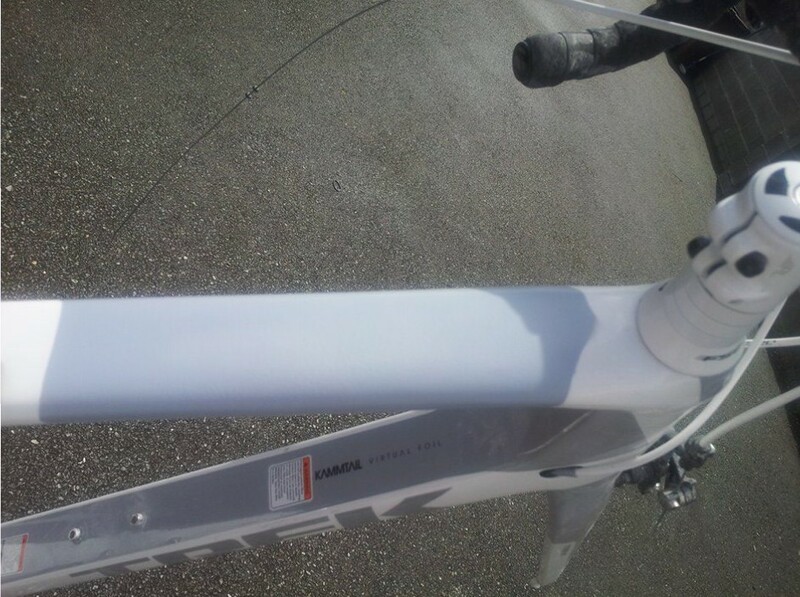 He sent us a frame done up in the Team Navigators theme, but the fork was completely mismatched. CarbonTec doesn’t need to advertise. Hoey’s workshop is permanently full. From guys crashing bikes in races, to people finding long-forgotten frames in their sheds, to international customers determined to restore their beauties to their former glory, CarbonTec is in demand. At the Tour of Flanders in Belgium, it got a namecheck on Eurosport by legendary Irish cyclist Sean Kelly, who Hoey had discovered that morning already knew what CarbonTec was. 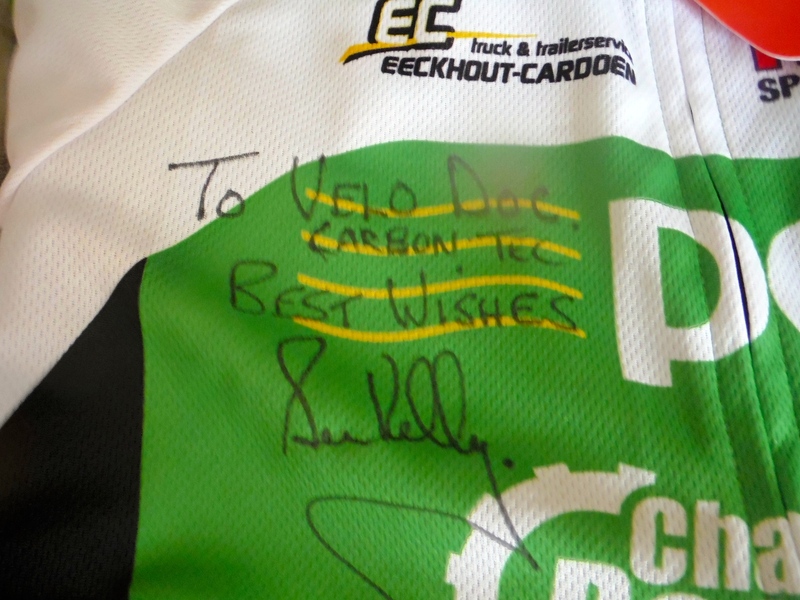 He’s since sent Hoey a bike, and thanked him with a signed jersey from his team AnPost Chain Reaction Cycles. This success has led to Kinsella starting Velo Doc, a repairs and servicing businesses, and he has partnered this with CarbonTec. 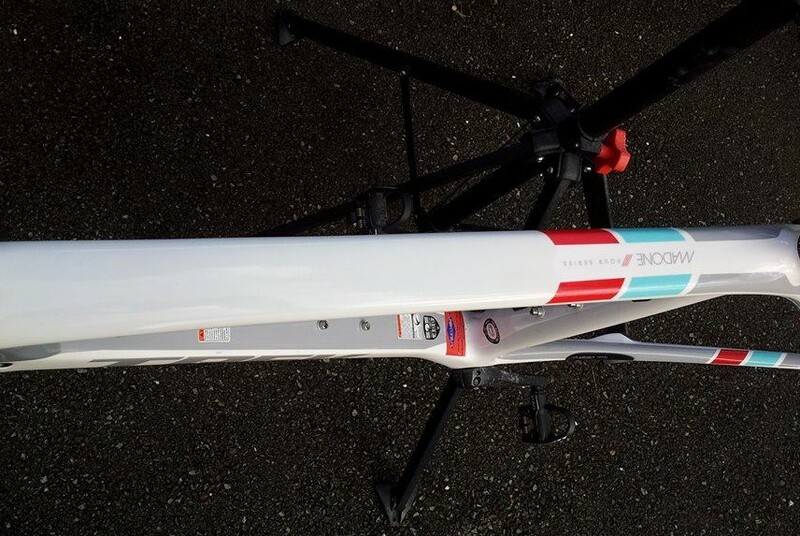 From that first top tube, they have come a long way. With new technologies their list of can’ts is shrinking. How are they doing it? What are they using? The King’s Carbon Mender Act II.